Once a fire guts down your home, recovering from the traumatic experience can take some time, in addition to the period it will take to regain stability. Restoration services, homeowner’s insurance, neighbors, family, and friends, are part of those that ensure life after that becomes bearable to some extent, so your life can return to normalcy as soon as possible. Taking appropriate action after the fire is paramount. For over 25 years Utah Flood Cleanup has been dedicated to helping families and business owners with cleanup and restoration after a fire. Our fire and smoke cleanup experts are happy to answer any questions you may have about residential and commercial fire cleanup. We are available around the clock at 801-876-5225. Contact Your Homeowners Insurance Provider. It is the first step to take. 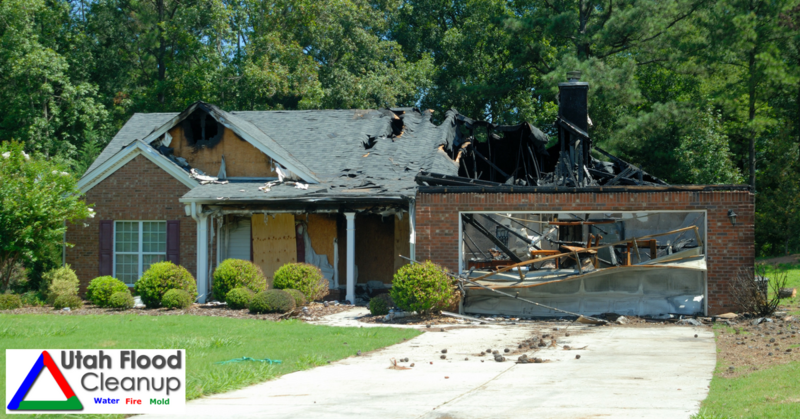 Providers of such coverage will evaluate your best options when selecting fire restoration services. Make Enquiries on When It Is Safe to Go Back Into Your House. Returning to your home after a fire is not advisable unless permitted by the fire department or local building officials. The reason is that hidden damage makes the house unsafe and fires can erupt again. Create A List of Damaged Items. 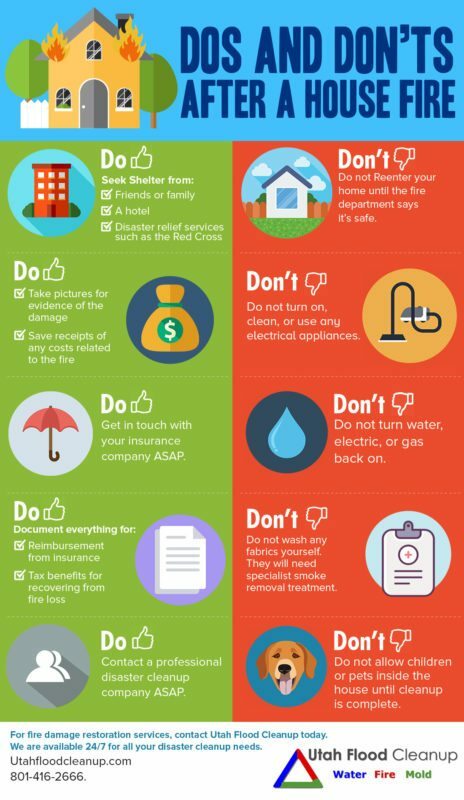 Your insurance firm will need an inventory list of all personal items that were damaged in the fire as you make a claim. Some of the things to include in your inventory list are the description of each item, the brand name, serial number, and purchase price. Get A Fire Report Copy. A description of the damage, date and time of the incident, ignition source details if discovered, and the affected area, is part of the information that a fire report bears. Your insurer will find this document useful too. Contact an Accountant. Find out from an accountant what benefits are available for those who are recovering from fire related losses. Find Temporary Dwelling. If your house is rendered uninhabitable after a fire, you need to find somewhere else to stay as you recover. Access to safe temporary shelter, hot meals, clean water, medicine, among other things is what you need most when your house suffers destruction following a fire outbreak. The intervention of charitable organizations offers a helping hand before your house is rebuilt, to help you transition with ease. They play a significant role in availing these basics to help you adjust comfortably. The pain and pressure of losing your property to a fire can be overwhelming. The last thing you want to imagine while in such a situation, is more frustration. Utah Flood Cleanup has 25+ years of experience in handling fire disaster cases. We can help deal with insurance companies to get compensation to cover fire department charge. Contact us today to see how we can help.